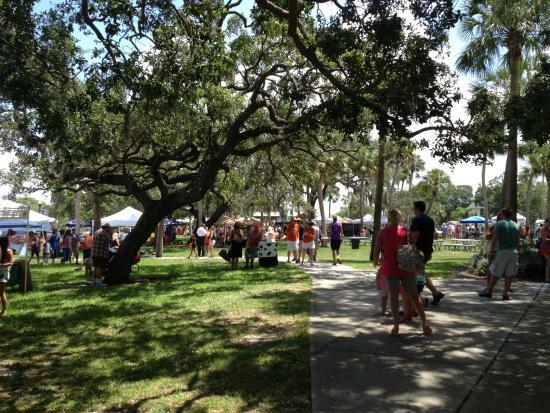 The 9th Annual Dunedin Orange Festival returns to the Bay area Saturday, July 7. 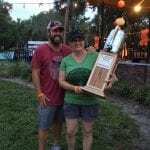 This year’s festivities will run from 10:00 a.m. to 10:00 p.m. at picturesque Edgewater Park by the nearby Dunedin Marina located in the heart of downtown Dunedin. This year’s event is expected to draw as many as 3,000 people to the downtown business community, giving local shops, bars and restaurants added exposure during this all-day event. But as Vinnie Luisi, Director of the Dunedin History Museum and a leader within the Orange Festival planning committee, points out, the festival is about so much more: it is about connecting the area’s present and future to its history and what once was a booming industry that helped the area blossom. The festival itself sprouted in spring 2009 with a simple test and some whimsy. Two local artists set out to gauge the Dunedin community’s interest in its rich agricultural history, particularly the citrus packing industry which dates back as early as the 1880s. Steven Spathelf and Marsha Goins secretly painted orange-related public art and vintage fruit crate labels across town. 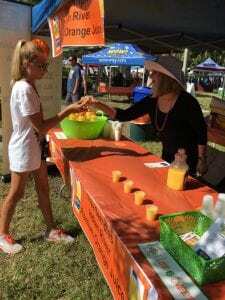 It was so well-received, interest in oranges and the history of the area’s once thriving industry were immediately revived. By July 2010, the Dunedin History Museum joined forces with the local chamber of commerce and merchant association to kick off the community’s first ever Orange Festival. As with past years, the festival offers a wide range of activities for the whole family including a Fun Zone featuring kids’ games, activities and rides. The rest of the family can immerse themselves in their own games, contests and live music on stage all day long. Acts currently scheduled to perform include Jack & Josie Band, the Cadillac Cowboys, TBone Hamilton Band and the Hot Rod Hornets. 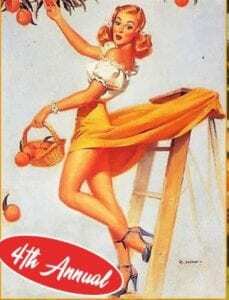 The Dunedin Orange Festival Pin Up Girl will be crowned during the event, as well. Contestants 21 years of age and older have been registering from spring through June 17 for this fourth annual contest celebrating vintage glamour in the likes of Betty Grable and Rita Hayworth. Contestants will roam throughout the festival in their vintage attire. 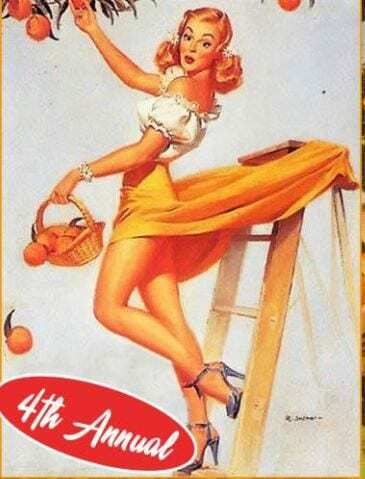 Later, an emcee will introduce each contestant to the crowd and judges who at that time, will name the official Dunedin Orange Festival Pin Up Girl. New to this year’s itinerary is the “Pluck a Duck” game, a random contest for all ages during which players will pay $1 to select a numbered duck (or 3 ducks for $5) from a group of over 500 floating in a pool. If that duck has orange on the bottom, the player wins a prize instantly. 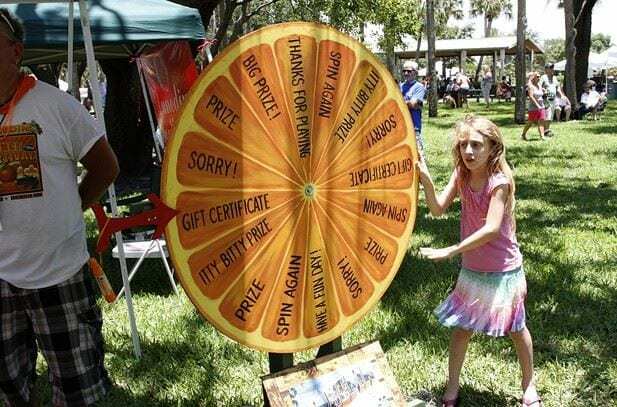 At 3 p.m., the festival will call out a winning duck number for a cash prize. Winner must be present to win. “You may even find me in the pool with the ducks if I need to cool off,” Luisi quips. 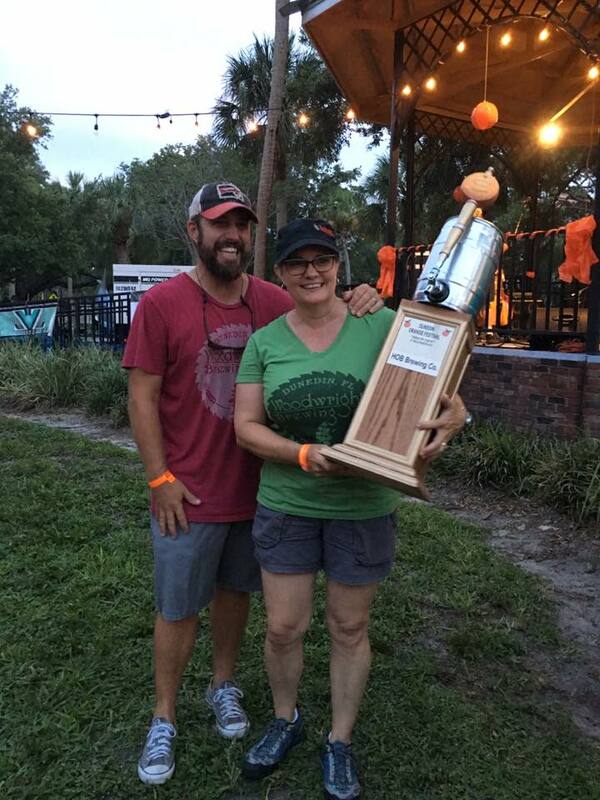 Also new to the festival is Orange Fest After Dark from 4 p.m. to 10 p.m., featuring live music and opportunities to eat, drink, socialize with friends and dance to live music under the stars. The 2018 festival will directly benefit the Dunedin History Museum and the Dunedin Chamber of Commerce’s Cultural & Educational Foundation. 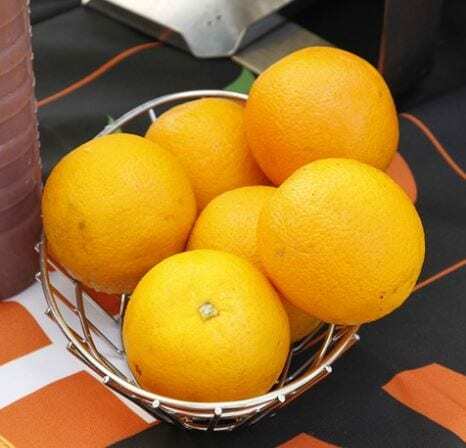 Guests will be able to take part in the Dunedin Orange Bonnet Silent Auction. During this event, bonnets specially designed by around 60 participating downtown businesses will go up for bid with proceeds going toward this year’s beneficiaries. Funds raised support the Museum’s educational programs as well as its ability to offer fun projects to summer camp students and bring exciting traveling exhibits to the Dunedin community. The History Museum houses around 2,000 artifacts, 2,500 photographs and a vast library of state and local history including an extensive archive of the now defunct Dunedin Times newspaper. The museum has been undergoing major renovations since August 2017 and is scheduled to reopen by late July. During the renovation, the temporary gallery has been hosting a series of traveling exhibits including its most recent exhibit, “Home Town Teams” in partnership with the Florida Humanities Council and the Smithsonian. Luisi say festival organizers are hoping to surpass previous fundraising efforts to support the missions of the Dunedin History Museum and Dunedin Chamber Foundation of Culture and Education, “With the slashing of state funding for the arts and all museums in the state of Florida, these proceeds will help both organizations continue to do educational and outreach programming in the community,” he says. For more information about the Dunedin History Museum, call the museum at 727-736-1176 or check out its website at dunedinmuseum.org. To keep up with the latest updates about this year’s festival entertainment lineup and participating vendors, click here to visit the official 2018 Orange Festival website. 2018 Orange Festival 7venth Sun Caledonia Brewing Cueni Brewing Co. Downtown Dunedin Dunedin Brewery Dunedin Chamber of Commerce’s Cultural & Educational Foundation Dunedin History Museum Dunedin HOB Edgewater Park Florida Humanities Council Fun Zone featuring kids’ Jack & Josie Band live music Marsha Goins Orange Festival Pin Up Girl seven Dunedin breweries Smithsonian Soggy Bottom Brewing Co. Steven Spathelf TBone Hamilton Band and the Hot Rod Hornets the Cadillac Cowboys Vinnie Luisi Woodwright Brewing Co.